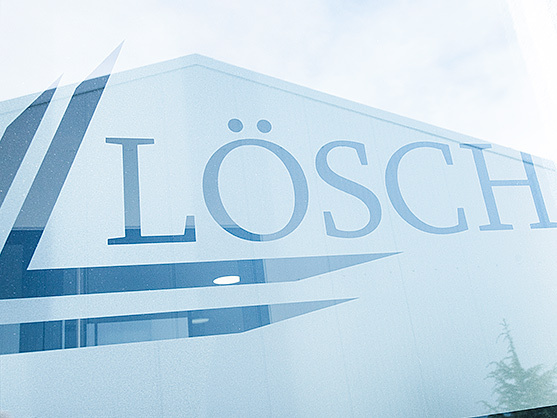 LÖSCH specialises in manufacturing high quality optical parts. Using state of the art machinery and mature processes we produce exceptionally transparent optical parts. Our optical products are crystal clear – and remain that way after years of use. Drawing on our experience from numerous optical parts projects we produce e.g. top quality lenses for you. We support our customers from idea to product and process development, all the way to industrial production. Our high quality standard ensures each and every part is identical and meets your high standards as well as ours. Automotive, energy, electrical engineering, medical and aerospace industry: The requirements vary from industry to industry. We produce liquid silicone rubber optical parts for your specific needs. From prototype to small-scale or even large-scale series. Liquid silicone rubber is predestined for manufacturing optical components. They’re a high quality alternative to conventional optical materials such as glass, polycarbonate (PC) and poly(methyl methacrylate) (PMMA) and offer new options in shape and function for the entire lighting industry. With our injection moulding process we can produce full-production runs – even if the optical parts have complex geometrical shapes and/or delicate structures. Of course all this fully automated, without any manual reworking. Injection moulded liquid silicone rubber (OLSR) optical parts are pliable, odourless and tasteless, chemical-, UV- and temperature-resistant, and non-ageing. Mastering the process opens up many applications. And our system solutions provide you with the best foundation. We have a clear view. Years of experience with our in-house mould design and toolmaking guarantee quick response times and timely delivery of all LSR injection moulding products. LÖSCH has extensive experience with all types of plastics and their processing methods. We produce precision parts with tight tolerances, in large quantities and complex shapes. And our system solutions provide you with the best basis. Liquid silicone rubber (LSR) injection moulded parts are very pliable, odourless and tasteless, chemical-, UV- and temperature-resistant, and non-ageing. Mastering the process opens up many applications. Our quality standards go beyond standard certifications. Our in-house mould making provides us with the highest flexibility and maximum shape accuracy. One contact point, one responsible party. So we are always on time and deliver the highest quality. WHAT IS OPTICAL GRADE SILICONE? Optical grade silicone is an elastomer. Meaning, once it has hardened it can no longer be shaped. Vulcanised optical grade silicone is similar to glass and therefore used to manufacture lenses or lamps, for example. The high resistance to heat or weather conditions make it an ideal material for a large range of applications. Where is optical grade silicone primarily used? Optical grade silicone is often used for state of the art LED lamps. One of the most common applications of optical grade silicone is the car. The properties of optical grade silicone allow the production of lenses which enable effective and efficient matrix LED, adaptive full beams or dynamic headlamp. What are the properties of optical grade silicone? Is optical grade silicone a better glass? Optical grade silicone is superior to regular glass in many aspects. Its properties make optical grade silicone particularly far superior to glass in manufacturing lenses. In injection moulding the liquid silicone rubber vulcanises into a super-transparent elastomer. So the finished lens can let all of the incident light pass through. Precise injection moulding allows full control over the light. Entering and exiting light can be precisely refracted, focused or diffused. The numerous options to shape light are evident in the increasingly extroverted shapes of headlamps. What are other advantages of optical grade silicone? Silicone elastomers further do not absorb moisture and are electrically insulating. Their low viscosity is also beneficial, so consistent dimensions are considerably easier to achieve with silicone moulded parts than the corresponding glass parts. Advantages of optical grade silicone over PC and PMMA? Silicone elastomers can withstand extreme temperatures and extremely resistant to oxygen and ozone. They also withstand prolonged exposure to visible light and ultraviolet rays – unlike organic polymers they won’t yellow. Why choose LÖSCH as your partner for injection moulded liquid silicone rubber? Our silicone experts have years of experience in optical parts and along with the corresponding machinery we can assist you from idea to producing your parts. Contact us and tell us about your project. We look forward to an initial consultation without obligation.